Newhall is deceptively large, in that there are some places that most Santa Clarita residents have NEVER ventured into, such as Quigley Canyon, and Wildwood Canyon. They are far apart from each other, and about as diverse as you can get, with Quigley Canyon homes for sale set in a quiet, open rancho mecca, while miles away, the Wildwood Canyon homes (like the one below) are found along winding roads surrounded by hillsides. And that's just 2 areas to talk about out of half a dozen Newhall neighborhoods. For a look at Newhall Schools, click here. 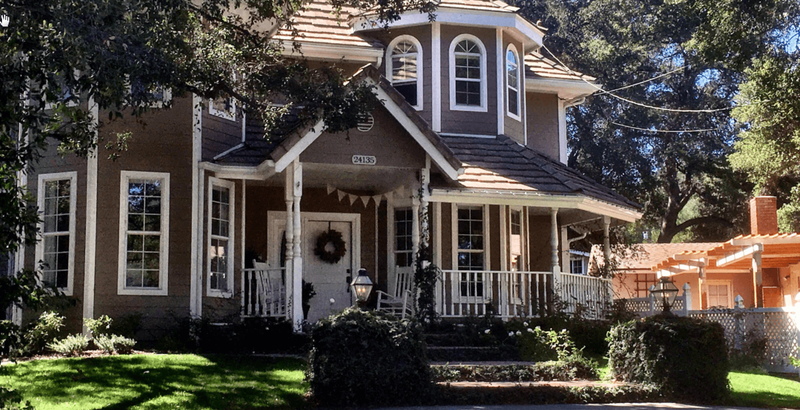 On a casual drive, you would think most homes for sale in Newhall are either older, inexpensive homes, or else they are ostentacious mansions, tucked into unlikely nooks and crannies. Recently, the most expensive home on the market was in Wildwood Canyon, at $1.88 million. However, statistics show that the majority of homes for sale in Newhall are priced between $500-590k, like most of Santa Clarita. You don't have to go outside the city limits to get a great view on a hike. 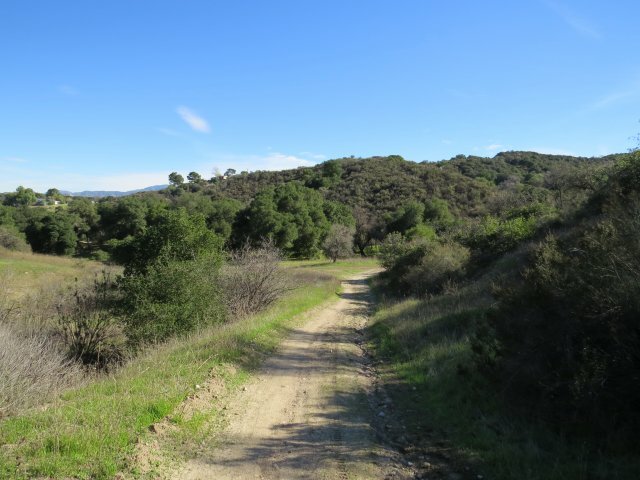 At 95 acres, Wildwood Canyon Open Space is a hidden gem within the southern Santa Clarita Valley. The steep ravines offer shaded trails with moderate grades up to a ridge that provides a commanding view of Santa Clarita's beautiful skyline. At the Southern terminus of Newhall Ave. you'll find the wonderful trails of Whitney Canyon and Elsmere Canyon. The closer you are to the 5 freeway and EAST of the 5, the further you go back in time. The opposite is true WEST of the 5, as you venture into Stevenson Ranch. 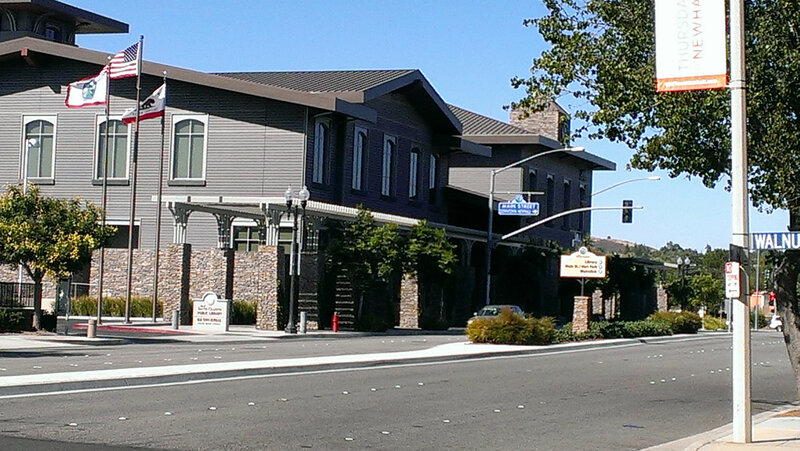 Located in the western half of Newhall, Happy Valley is the area most think of when they think of Newhall. South of Lyons Ave. The Lyons Ave. corridor is slowly changing, and getting more modern looking each year. Last month, near Old Town, I saw a dark-wooded (i.e. dated) western-themed set of shops getting a facelift, with new colors and signage. Homes for sale south of Lyons Ave. have many streets that are tree-lined, and boast unique homes, of all shapes and sizes, all built at least 50 years ago or more. These are where the true hidden treasures of Newhall are. Big lots, big shady trees.. Happy Valley and Peachland Estates are well worth your consideration. 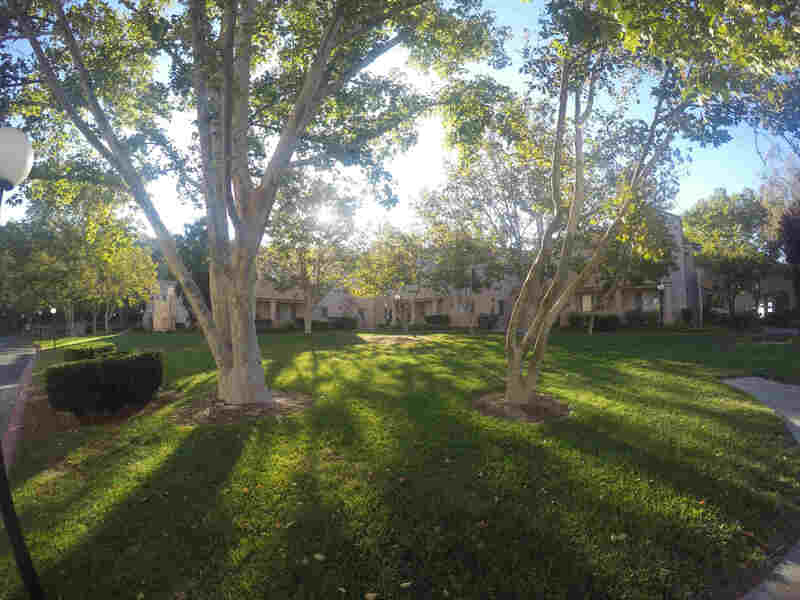 Valle De Oro lies at the southern end of Newhall Ave, and houses a large hillside community of modestly priced hilltop townhouses (The Vistas) for sale as well as several huge apartment complexes. The Lantana home development, closer to the 14 freeway, has larger single family homes for sale. You can find very new homes in the Summit and Lantana subdivisions in the $600's. Caution: between the 14 freeway noise and the Metrolink trains passing through the area, this is not the place for light sleepers. At the terminus of Lyons Ave. to the east, you reach Old Town. This area is a mix of apartments, duplexes and small homes that look like they belong alongside the older homes found in the San Fernando Valley. But change is coming... Many high end eateries have opened and a new Laemmle Theater opens in 2018, and the entire area is going through a re-gentrification. These homes were built out in the late 60's, and are very generally small, though close by to abundant parks and city swimming pools. Students from this area will go to Hart High School. I don't know if this will in fact, be built out fully, any time soon, as the property seems locked up in legal battles, but Needham Ranch looks like a fairly big industrial center that could greatly impact what people think of when they mention Newhall and Newhall real estate. Friendly Valley offers homeowners 55 and older serene surroundings, and comprehensive amenities, including a 9 hole private golf course. An expensive membership fee nearing $3,000 awaits those moving into the area. 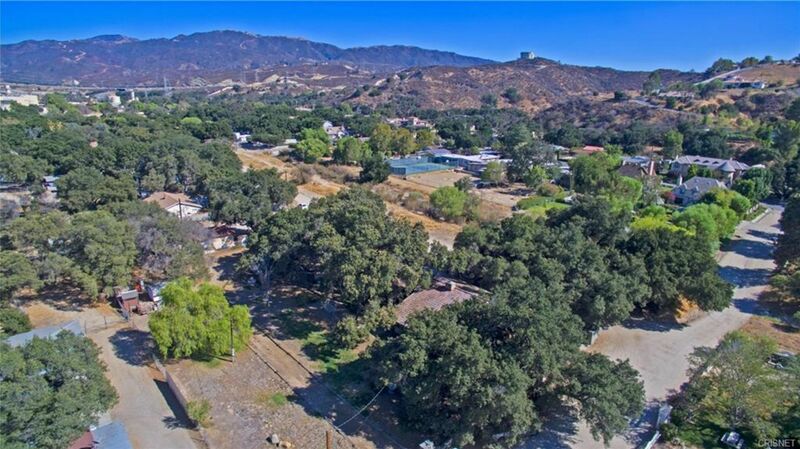 Just north of there, technically in Canyon Country, is Rainbow Glen, a large development nestled among the rolling hills bounded by Via Princessa, Sierra Highway and Soledad Canyon Road. You'll find most homes for sale there on tight cul-de-sac streets that are rather narrow. The nearby Via Princessa Metrolink station offers a commuter stop for trains running to downtown L.A. 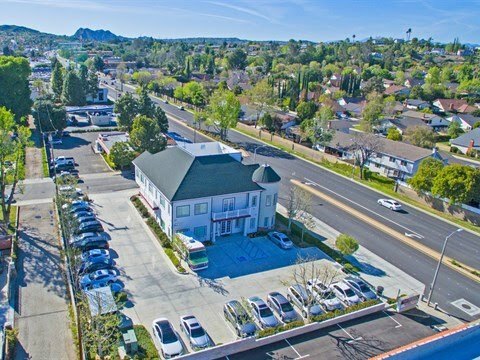 The Vista Del Canon area is located west of the Stater Brothers/Costco shopping centers, and you'll find a quiet community that is only 2 minutes away from the 14 freeway, though it severely lacks parking space or any kind of greenery. I call it a stucco canyon. 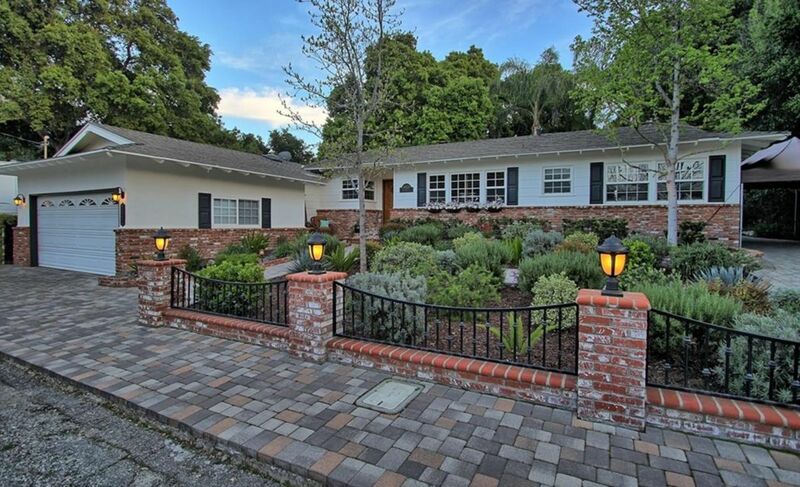 The hillside neighborhood behind Vista Del Canon is a hidden gem. The Disney studio's hundreds of higher-paying jobs will entice many employees to move out of the aging San Fernando Valley, and call Newhall and Canyon Country their new home. Updated: 24th April, 2019 1:46 AM.